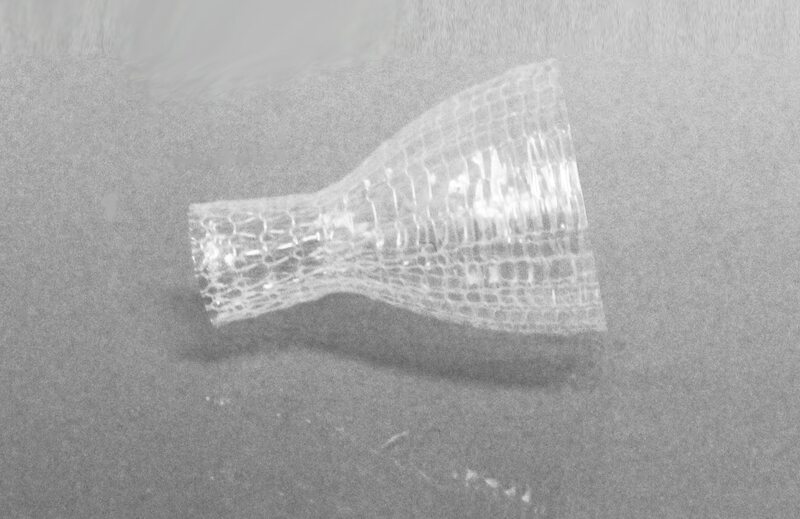 Aran Biomedical’s implant covering solutions can be used in a number of peripheral applications from PTFE covered stents, to embolic protection systems and occlusion devices. 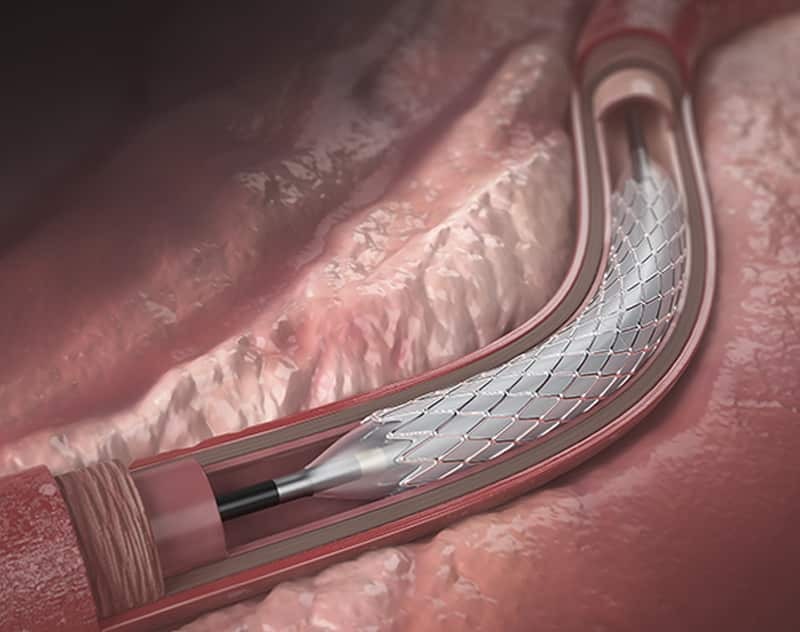 PTFE covered stents are an effective means of maintaining lumenal patency in the peripheral arteries, whether for arterio-venous access of dialysis patents or to inhibit atherosclerosis in the legs. Aran Biomedical has significant expertise covering even the most challenging stent geometries, including conical and flared stents, double flared stents, and even stents featuring integrated electrical components. Balloon and self expanding stent designs can be covered with low profile PTFE coverings to reach the most challenging anatomy. Applying elastomeric coated membranes to self-expanding laser cut, braided or wire formed devices is a design approach for developing devices that can achieve rapid vessel occlusion. Outside of the vascular space, coated braided stents are also used for urethral, biliary, oesophageal and colonic applications, where fully or partially coated braided stents deliver luminal patency in patients with strictures, often caused by malignant tumors. Embolic protection devices are used to reduce the potential risk associated with atheroembolism. 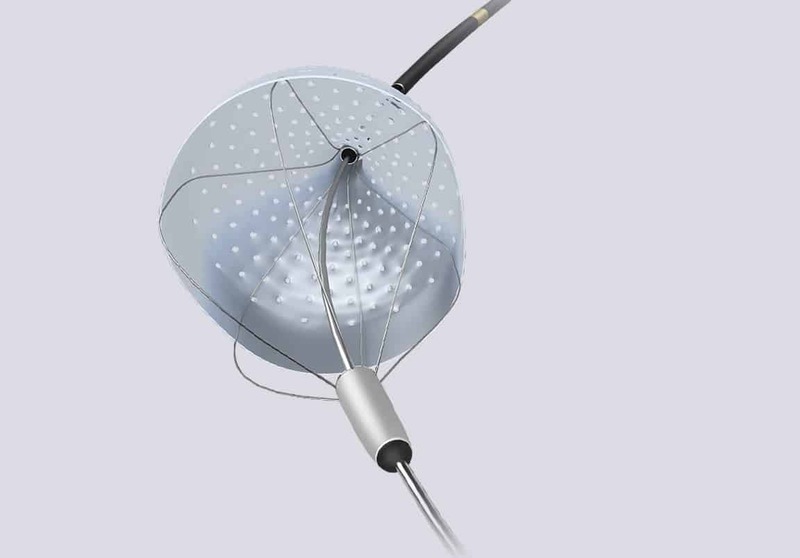 They are used during numerous vascular interventions such as carotid stenting, thoracic and endovascular graft placement as well as structural heart device implantation. These devices sometimes feature micro porous flexible membranes, which Aran Biomedical can custom design and manufacture.